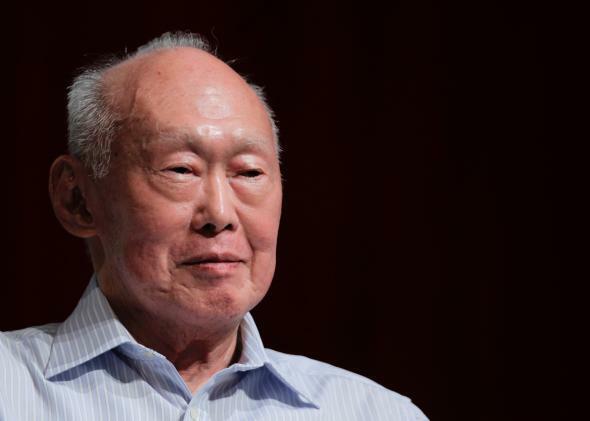 Singapore's founding father Lee Kuan Yew dies at 91. Former Singapore Prime Minister Lee Kuan Yew smiles as he attends the LKY School of Public Policy 7th anniversary dialogue session in Singapore on September 14, 2011. Lee, however, often insisted the limits he imposed on civil liberties were necessary in order to make sure that a “multi-ethnic and multi-religious country” remained stable, points out the Guardian. Lee remained a powerful figure even after stepping down as prime minister in 1990, staying on as senior minister and then “minister mentor” only to leave the cabinet in 2011 due to his declining health. “No-one is quite sure what direction Singapore will now take without him,” notes the BBC’s Jonathan Head. 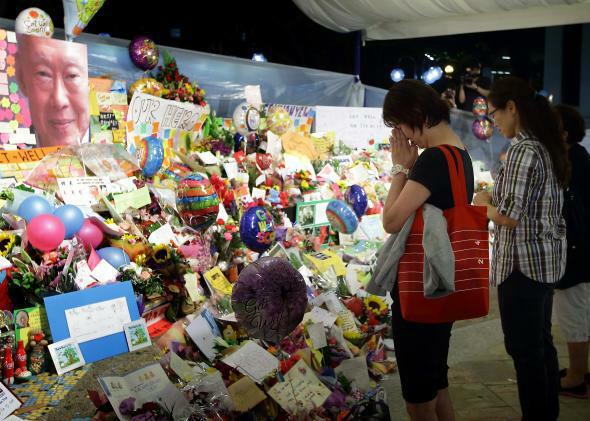 People mourn the passing of former Prime Minister Lee Kuan Yew outside the Singapore general Hospital on March 23, 2015 in Singapore.